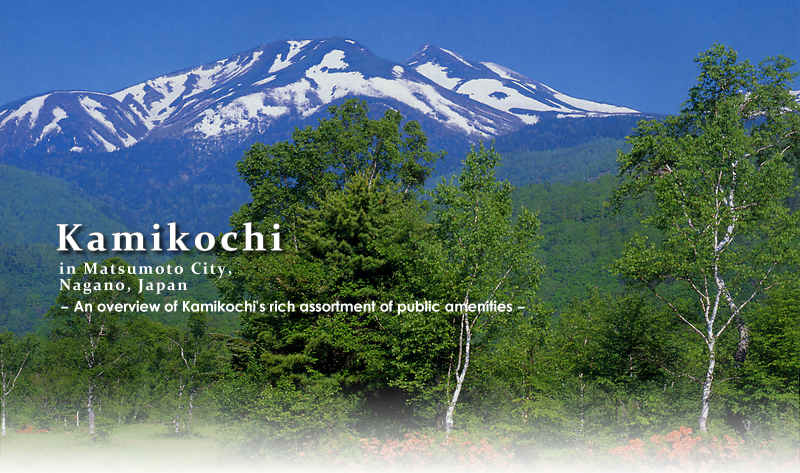 Kamikochi is the southern gateway to the Chubu Sangaku National Park, a rugged mountainous area at the heart of Honshu (Japan's main island) which is better known as the Northern Japan Alps. 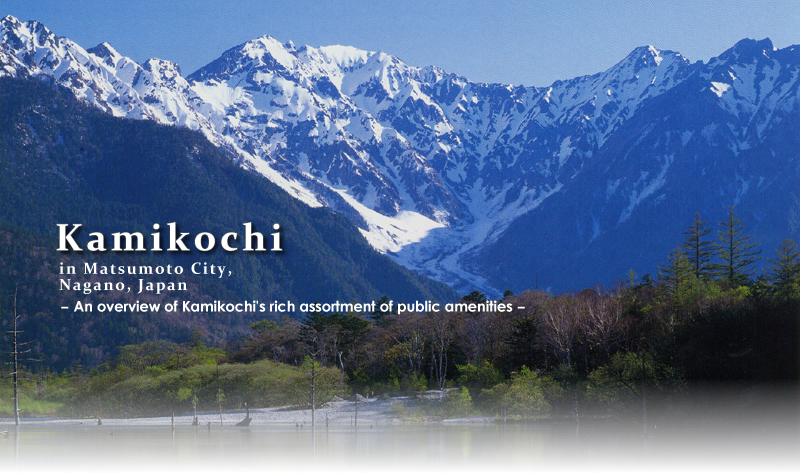 Kamikochi is situated in the Azusa River Valley some 1,500m above sea level. 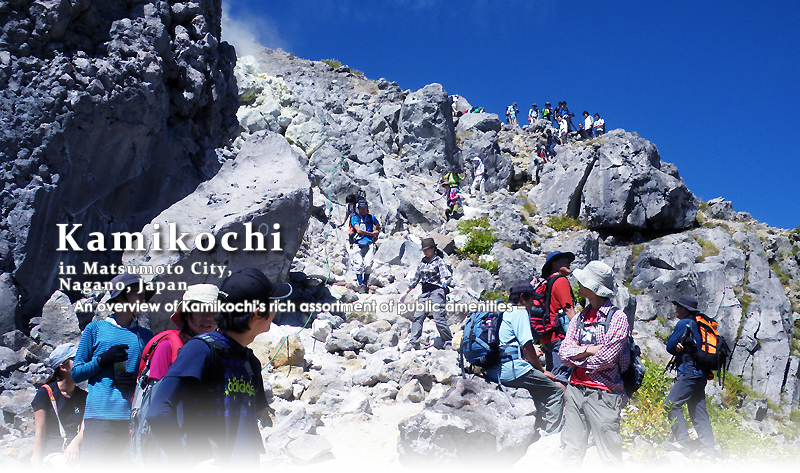 Offering spectacular alpine scenery, including primeval forests and a live volcano, it is one of Japan's premier destinations. 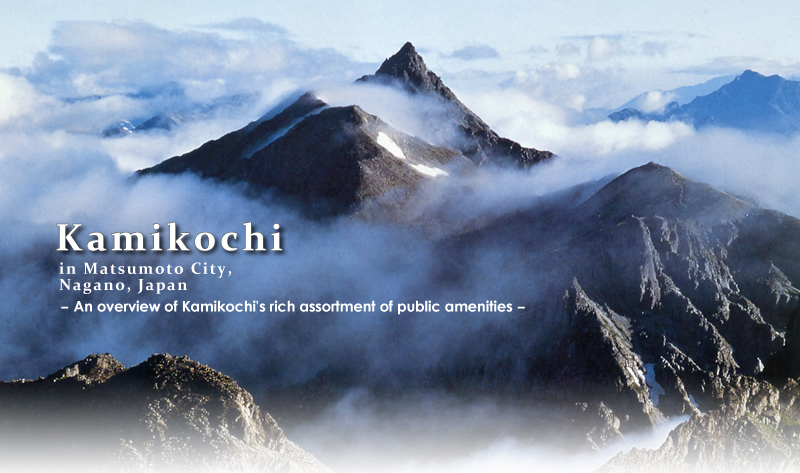 Kamikochi Shokudo (restaurant) The regional Japanese cuisine matches the season; fresh mountain vegetables in Spring, locally-produced salads in the Summer, Kinoko mushrooms in Autumn. Yakedakegoya (lodge) Base camp for Mt. Yakedake, the only active volcano in Northern Alps. The viewing platform 5 minutes from the Lodge is also a spectacular place to see sunrise or sunset. 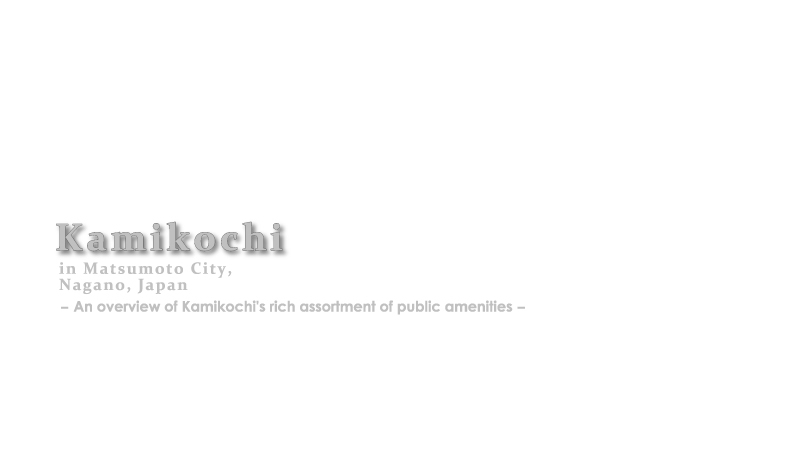 Copyright (C) 2012 AZUMI Matsumoto City All Rights Reserved.